And my face was changed forever. Let us not repeat this part of history ever again. A very young woman, perhaps in her 20’s, asked me today, “What do you think of today? It’s December 7th.” I told her I am consciously avoiding the subject because my public discussions in the past have resulted in negativism. 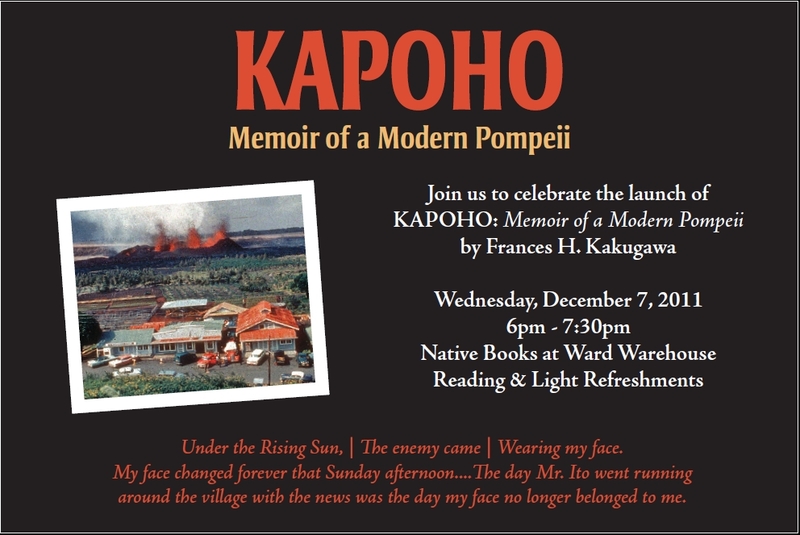 But when she said, growing up in the Mid-West, she didn’t even know of Pearl Harbor or of Hawaii until she read my Kapoho book, I felt I was being a coward by avoiding political views on December 7th. So here I am today, not as a victim but as a writer, remembering and sharing a part of history. to promote and strengthen relations between Japan and the United States. by Hiroshi Tahara, Principal of Papaikou Japanese Language School, mid 1930’s. Tahara died in internment camp in New Mexico, in 1945. Immediately, a new word was added to my childhood vocabulary. To devour who I am. I spit it out. Bull’s eye! “I can’t let them go. 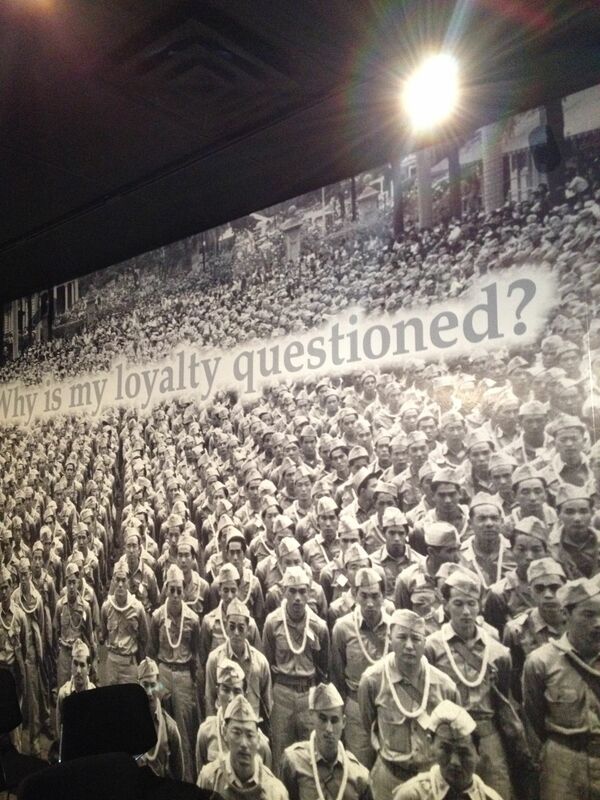 The 442nd and the 100th Battallion were the units from Hawaii. 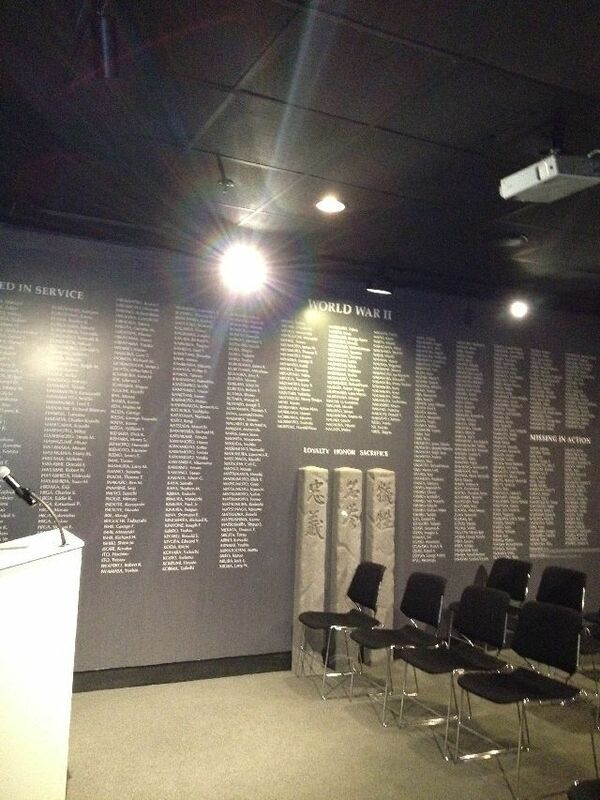 Names of Japanese American soldiers from Hawaii, killed or lost in action. 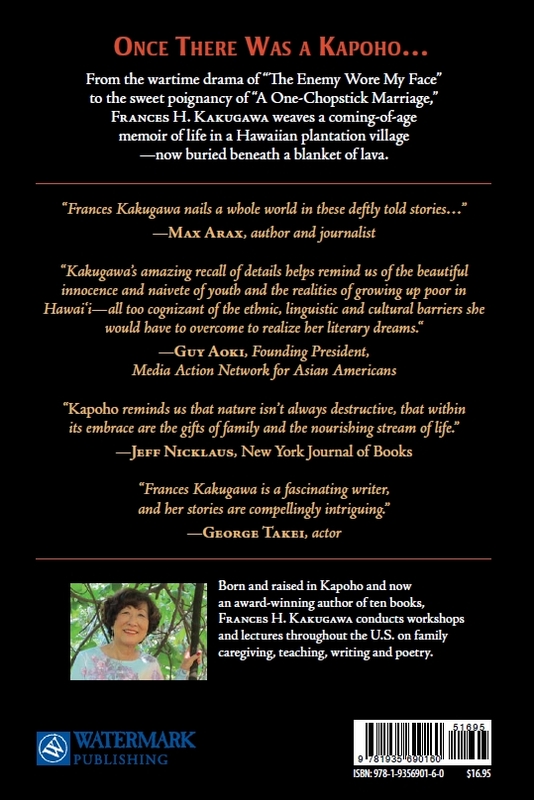 The Japanese Cultural Center of Hawai’i and Watermark Publishing present a series of author readings and discussions with former educator and caregiving advocate Frances Kakugawa at the Japanese Cultural Center of Hawaii, 2454 S. Beretania St., on Sat., Nov. 10, 9:30am – 12:30pm. 11:00 – 11:30am – Children’s book reading (Historical Gallery); Frances will read from her children’s books, Wordsworth the Poet, Wordsworth Dances the Waltz and her brand-new release, Wordsworth! Stop the Bulldozer! Join me in Hawai’i or send the news to anyone you know through the Coconut Wireless! East Hawaii Cultural Center, Hilo 141 Kalakaua St.
Or meet me in Hawaii and/or L.A./ Sacramento, for book launch: Info to follow soon. 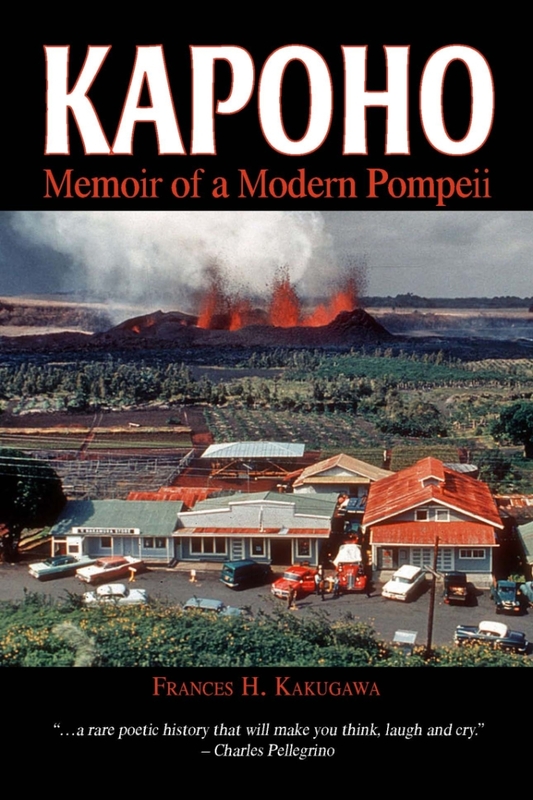 Down town, Kapoho, before lava destroyed it all. The billiard pool, the store and theater run by generator. Spit it out! Bull’s eye! Today, I see myself in the photos of children in the news media. The enemy continues to wear the faces of children who will add new words to their vocabulary. We live our double-edged lives. My face is their face and so it will always be. Unlike my grandmother, who could not separate herself from what had become the face of the enemy, I had a choice to make. My name is either Hideko Frances Kakugawa or Frances Hideko Kakugawa, depending on what document I am holding. My birth certificate carries the name my parents gave me and tells one story. My Social Security card bears the American name first and tells another. Either way, the history of the young girl I would have become is gone. The only face that was left for me to wear was my own.